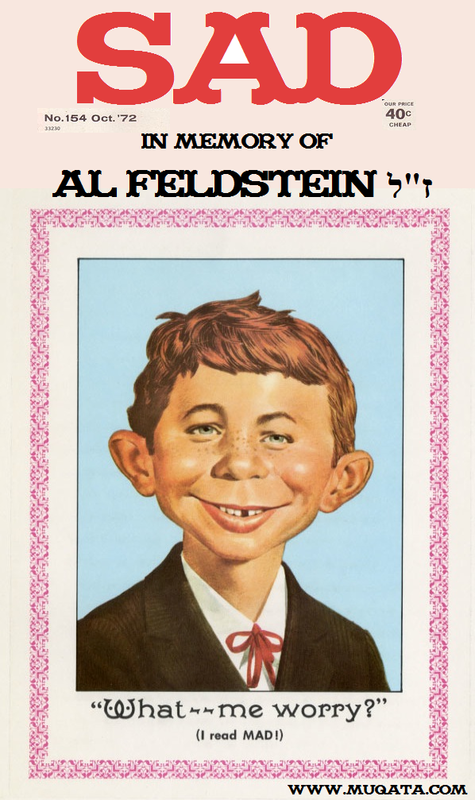 Mad Magazine's Soul -- Al Feldstein, has died. Millions of young baby boomers looked forward to that day when the new issue of Mad magazine, which Feldstein ran for 28 years, arrived in the mail or on newsstands. Alone in their room, or huddled with friends, they looked for the latest of send-up of the president or of a television commercial. They savored the mystery of the fold-in, where a topical cartoon appeared with a question on top that was answered by collapsing the page and creating a new, and often, hilarious image. Read his whole obit here.